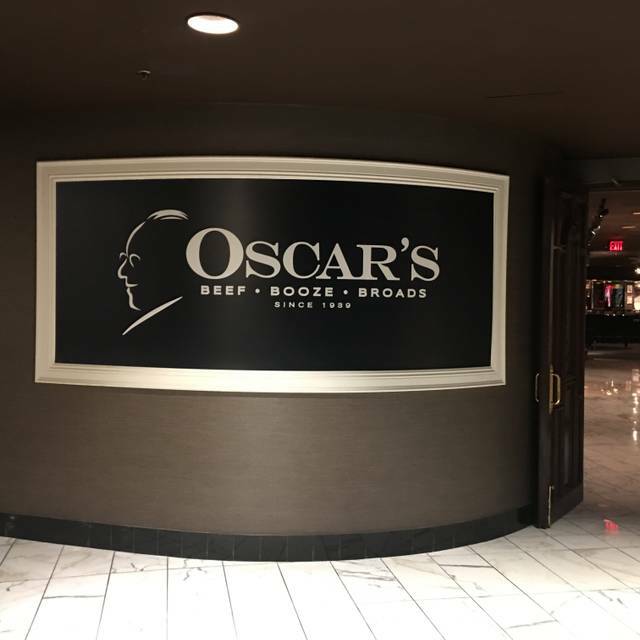 You must make reservations at least 5 minutes in advance of the time at Oscar's Steakhouse at the Plaza Hotel & Casino. Dinner: Monday - Sunday - Thursday: 5:00pm - 10:00pm; Lounge opens at 4:00pm. Valet parking is at the south entrance of the Plaza Hotel & Casino. We also offer a COMPLIMENTARY shuttle to and from the Smith Center on performance nights. Please allow yourself enough dining time if you plan to use the shuttle. It is a five minute ride from Oscar's. Please notify the hostess when you arrive. The Strip & Downtown Express (SDX) bus stop is located 2 blocks from Oscar's at the intersection of Casino Center and the Fremont Street Experience. Specializing in events from 12ppl to 300ppl, Oscar's is a destination that no one will forget. 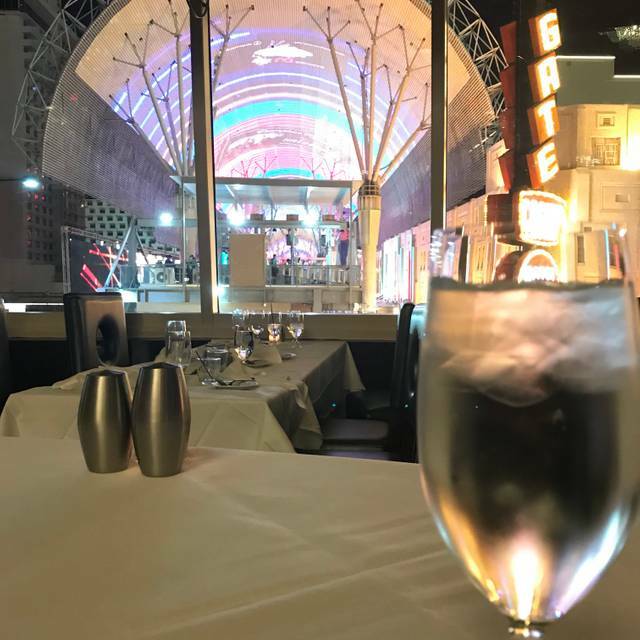 Whether a cocktail party with hors d'oeuvres, full dinner service, or a themed event, Oscar's is ideal for any occassion! We love to do private events and banquets. We do not do off-site catering. 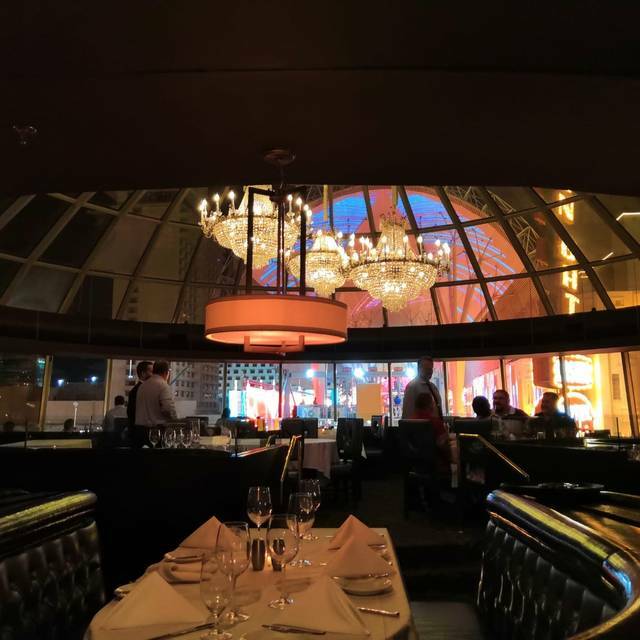 Oscar's Steakhouse is located in the Plaza Hotel & Casino in the iconic dome (as seen in the movie CASINO). Featuring perfectly aged steaks, the best drinks in town and an atmosphere that truly makes it the 'Happiest Steakhouse in the Universe'. Oscar's offers COMPLIMENTARY shuttle service to and from the Smith Center on performance nights. Please allow yourself enough dining time, and mention the shuttle to the hostess upon arrival. Make this Mother's Day a memorable one by dining with us at Oscar's Steakhouse. The Oscar filet was outstanding! Everything was excellent! The service was outstanding! Service was great. Food was mediocre, I had the chicken. There was a weird smell noted. This place is nothing short of amazing. It’s a steakhouse so get steak. The view is amazing. Located at the top of Fremont Street you can see everything. It’s a must do. This is a stereotypical steakhouse, but they are a little full of themselves. I will start with the fact that, after we were seated, the service was outstanding. The hostess apparently hates her job and couldn't bother with even a half smile, but our wait staff was top notch. The food was mediocre at best. We started out with salads. My wife ordered a caesar, which was a decent standard caesar. I ordered the roasted beet salad, or at least I thought I did. It should be called the canned, pickled beet salad because that's what it was made with. I've had roasted beat salads before and my wife is a classically trained chef. I know what roasted beets look and taste like. This wasn't it. We ordered the bone-in ribeye, medium rare, to share. It was decent, but wasn't worth $64. It was a little under cooked and it was VERY fatty. It did have a nice crust on the outside, which helped it a bit. For sides, we ordered the asparagus and the corn brulee. Both sides were good with the corn brulee being the highlight of our meal. We had cappuccino at the end of the meal, which was good. The atmosphere is okay. It's in a glass dome that looks down Fremont Street. There were a whole 4 other tables inside, but we still couldn't get a table with a decent view. I chalk that up to our "extremely friendly" hostess. The room was a little hot, but the most disappointing factor was some of the clientele. 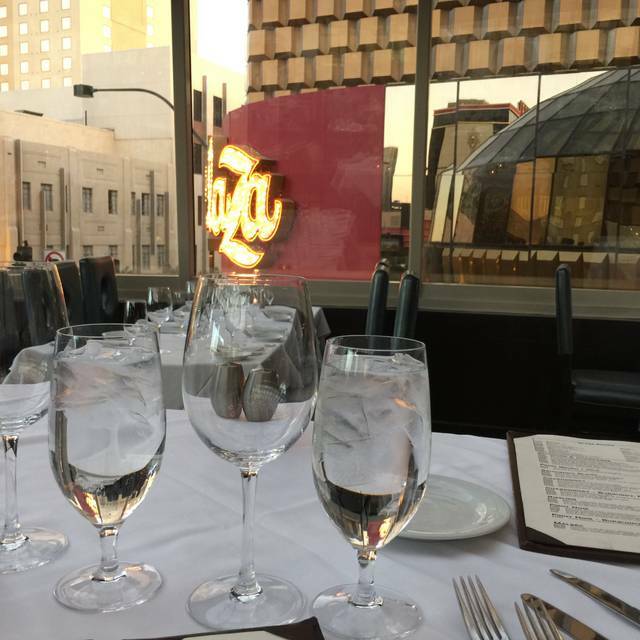 I know it's downtown Vegas, but when you're average entree is $35+, that should be a clue to wear something a little nicer than a bikini top or a cut-off sleeveless shirt. I would say that Oscar's should enforce a dress code, but based on my assessment of the food, they probably couldn't stay in business at their prices without letting in people dressed like bums. Great service we had a party of eight! Everything was great, but the Pock Chops were out of this world !!! The bar is set high !!! Celebrated 25 wonderful years of marriage at this iconic Las Vegas Gem. Our Dining experience was off the chart. Starting with a happy hour in their intimate lounge, we enjoyed a three course dinner marveling every tasty bite. Thank you Oscar and Carolyn Goodman for sharing your exquisite Las Vegas dazzle with us. Steak was perfect, wedge salad was excellent, mashed potatoes could have been firmer. Service was great as usual. My favorite restaurant in Las Vegas. My water glass had a chipped on the rim and the butter dish had a food particle missed from washing. Unacceptable for a high end restaurant. The best meal that we have had in Las Vegas to date. There was so much food that neither of us could finish it and that never happens with us. Strive and ambiance were spectacular as well. If you are going to be downtown and want to splurge a bit on a meal, this is the place to do it. We travel the world trying out places that are "well above the average" and this is one of them. Highly recommended. The best food and service! Had the oysters on half shell, filet mignon and Brussel sprouts. Nick was our waiter and very helpful and informative, great stories and service. Thank you! We really enjoyed are dinning experience would recommend to all our friends! I absolutely love Oscars. The service was amazing, especially considering my large bachelorette party was very demanding. The sides and drinks were AMAZING as always. My steak was charred but it’s normally melt in your mouth delicious so I just chalked it up to a mistake in the kitchen. I was so full on my sides that it didn’t matter. I could have drank those potatoes. Always love going to Oscar's Steakhouse. Although a little pricey, the food is always excellent and worth it! Will go back again! Rests on its laurels a bit, but nice server (Lenore)! Great food, great service and excellent ambiance. Had the beet salad and scallops w/ risotto. Nick was our waiter and he was fantastic! Service was great and the roasted beet salad and ribeye were possibly the best I’ve ever eaten. Fantastic fine dining. Wait staff was extremely friendly and courteous, food was absolutely top notch, the house Cabernet was great and the prime rib was to die for. Will go again. 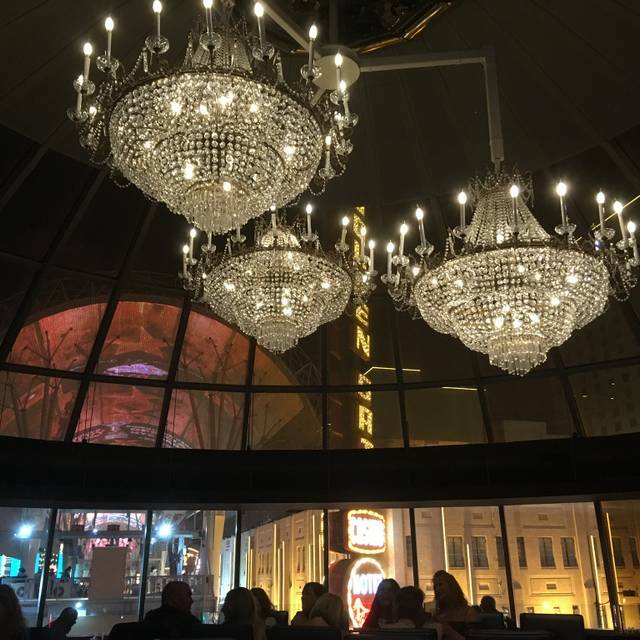 Seated under the central chandeliers, our group was able to enjoy a fabulous dinner while watching the sunset and seeing the lights of Vegas go up around us. The food was delicious and the service courteous, skillful, gracious, and prompt. It was a truly lovely evening for a special evening out for our party. Excellent dinner at Oscar's last weekend. Next time, my hubby and I will go solo - for a much needed date night. Exceptional service, quality of food, and environment. I will return. The Ugly - The steaks were one of the worse we have ever been served out in a restaurant. I might go as far as saying that the Outback serves a better steak. Chewy and definitely not prime anything. Excellent restaurant! The service was great and the food was excellent! Food was pretty good and portions are of decent size. Service wasn't that great though. Only I guess "complaint" I'd have would be the zipline blocks your view of it all and the construction with all the bright lights into the restaurant, other than that pretty good. We just went because that's where casino was shot for a scene. This place is awesome! Food, awesome. Service, awesome. Atmosphere, awesome!!! Will totally come back and bring more people. Nick was an amazing server. He made the night memorable. Nice wine list. Steak was a bit over done, Nick offered to make us another. There was no need. He made up for it with cheese cake and creme brûlée. Both where amazing. The cheese cake was well worth the calories. There was no rush, a nice relaxing dinner. This place was incredible! The manager was awesome and so was our server! Would definitely come here again! I had some of the freshest oysters that I have ever had, and the prime rib was like butter.. I would recommend this restaurant to anyone having a date night or just wanting a enjoyable meal. Great food, ambiance, and the loveliest hostess! Try the Brussel sprouts w your steak. I loved my dinner there. Manager was very cool and let me get a picture in the spot where Anthony Bourdain dined with Oscar. Thank you!! Food and service was amazing!!! Other guest were loud and vulgar. Overall good restaurant. Indeed best steak in town. Salmon top notch and the asparagus made it all sing along! Try the cheesecake it's to die for. Excellent food and ambience, service was lacking. Food was amazing and our waiter Erik (I think that is how his name is spelled) was 5 stars all the way! We are big fans of Oscar’s! We go before we see a show at The Smith Center and always request to sit in Lenore’s section. She and the entire staff always take excellent care of us and make sure we make it to the show on time. 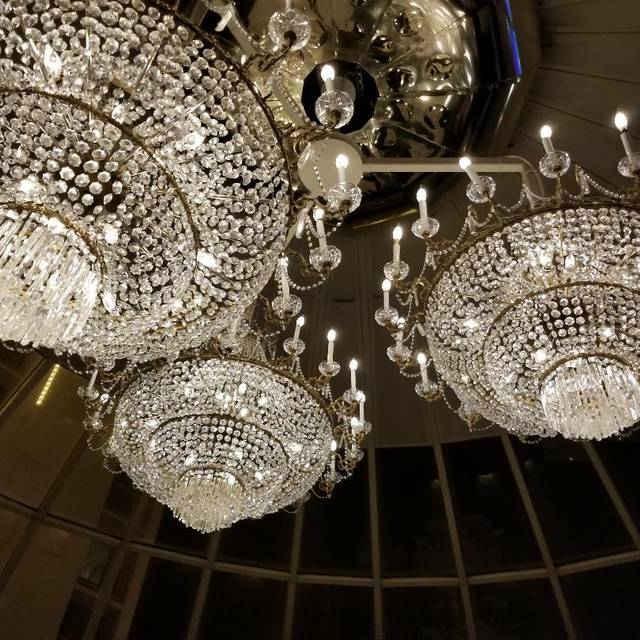 This visit I enjoyed the Whole Branzino- a new addition to the menu and it was absolutely delicious!